Seeds of Resilience is a turn-based simulation. You have to manage a team of survivors and build a village starting from nothing. At the beginning of each day, every villager produces action time. Then, you use this time to perform actions like harvesting or crafting. When all villagers have used all of their time, you end the turn and start a new day. As if getting food and a shelter was not challenging enough, you have to face relentless storms that can damage buildings, crops and the land itself. The islands are regularly struck by wind storms, earthquakes and tidal waves that will give you hard times but also some kind of reward. Winds can carry new seeds, the sea can bring unexpected resources from afar, as for the earth, more ore to mine. Patiently go through the steps of re-creating civilization. Start with a stone axe and a shelter made out of branches to finally build elaborate houses and mechanized workshops. 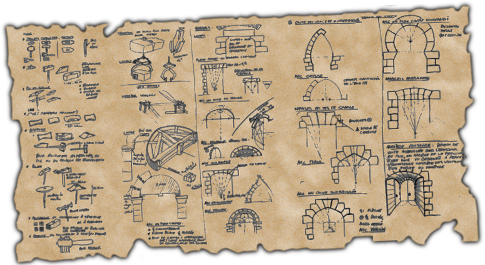 We made extensive research about medieval construction and craftsmanship, as well as survival techniques. We simplified and balanced data to fit the game’s needs, while remaining consistent with how things work in real life. To learn more, read our Survival Guides illustrated with the work of archaeological designer Francesco Corni. 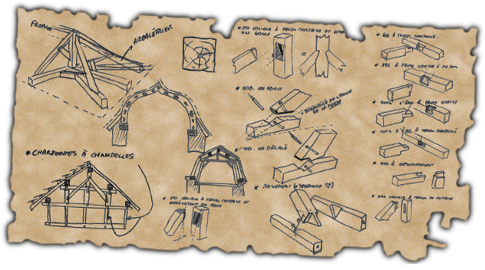 Patiently go through the steps of re-creating a civilization: Start with a stone axe and a shelter made out of branches to finally build elaborate houses and mechanized workshops. Survive in a harsh environment where storms and other natural disasters happen way too often. Primary resource is the work time of the survivors. Carefully manage their actions and optimize their skill progression. Detailed building construction: Choose natural resources according to their properties. Use them to craft the materials needed to assemble a building. Realistic medieval construction and craft techniques. Everything could be made in real life the same way. Observe the environment response to human activity. Maybe you should avoid fishing everyday at the same spot or cut down the whole forest.